Showing results by author "Amir Karkouti"
Author, speaker, dancer, philanthropist, and self-made genius Amir Karkouti has accumulated 18 questions that have been pondered since the discovery of the three principles by Sydney Banks. Although Amir Karkouti was not a welder with a ninth-grade education, he pretends to know about these three universal gifts. Join him as he dismantles these pressing questions and allows each listener to get a mind-blowing insight into the three principles of mind, consciousness, and thought. Each question has been pondered, hand-washed, and gently dried out for your listening pleasure. Is it possible to make money as a coach without resorting to discounting, bargaining, Internet marketing, or sleazy tactics? Is it possible to love enrolling clients as much as coaching clients? 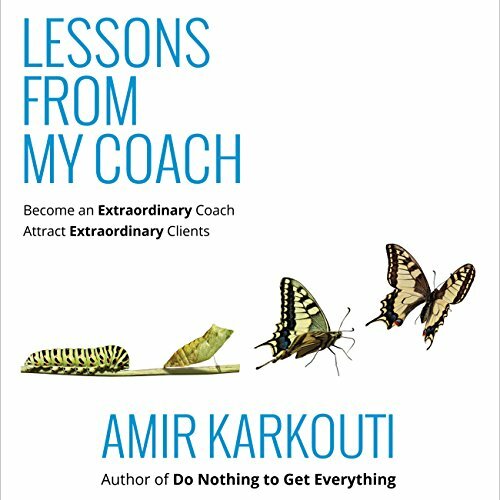 Join Amir Karkouti, author of Do NOTHING to Get EVERYTHING, as he explores unorthodox methods to make you become an extraordinary coach and to attract extraordinary clients. This audiobook is meant to not only be informational but, more importantly, transformational.